If you're in the market for an HDTV and need help deciding whether between LCD and Plasma, or aren't sure what's the best screen size for your living room, check out our review of HDTV Features. Or go straight to our picks for budget friendly, entry level, mid-range and high end HDTVs. And once you make your decision for what to buy, be sure to read our HDTV shopping advice for special considerations on where to buy and whether an extended warranty makes sense. To determine "Our Picks," we combine research from a wide gamut of leading technical review sources, actual owner experiences from public review forums and our own evaluation, based on decades of reviewing experience, of the products and their features. Our goal is to select products that we believe will provide you the best ownership experience, with solid underlying functionality, expected long-term reliability and intuitive operation. In other words, we would buy these for ourselves and recommend them to friends. In general, if we recommend one size of a particular manufacturer and model (e.g., the 46” Samsung UN46D6400), we would also recommend other sizes of that same model line (e.g., the 40”Samsung UN40D6400). See our HDTV Shopping Advice at the bottom of the article for additional advice when buying through Amazon. All prices are current as of October 16, 2011. This plasma is the best bargain going for 3DTV. And you won't be sacrificing image quality. 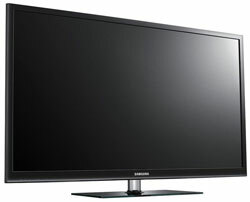 It uses the same underlying panel technology that Samsung uses for its higher end plasma models. A basic 120Hz set that delivers a good picture at a great price. This high-quality 1080p resolution LCD TV with 120Hz motion technology is ready for just about anything. There are Internet apps for access to streamed video from Netflix, Vudu and YouTube, Skype (with a compatible LG webcam), wireless Internet access (with a Wi-Fi adapter) and a motion-sensing remote that makes it easy to navigate on-screen menus. 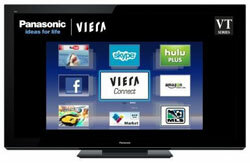 This plasma has great black levels and accurate color, which make for excellent overall 2D and 3D picture quality. You'll also get Internet apps and Wi-Fi connectivity. This plasma model stands out for its overall great picture quality and thin profile (1.5 inches thick). 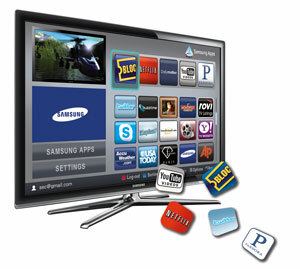 The TV also has built-in Wi-Fi and access to Samsung's large app store. The top-of-the line model from LG is packed with technologies that make it stand out. The 120Hz panel has an LED backlight with local dimming, which means sections of the panel can be dimmed independently to enhance the contrast of the display. It's also one of the first passive 3DTVs, which works with the same type of glasses you find in most movie theaters. This makes it a much more affordable 3D option, especially with 4 pairs of glasses packed in the box. 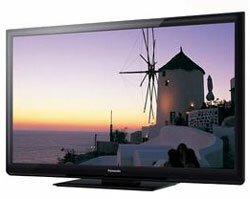 Authentic color and great image detail define the picture on this top-end 240Hz 3DTV. Plus, you'll find all the high-end extras like built-in Wi-Fi, Internet apps and even Corning Gorilla Glass, to prevent scratches. If you want the best 3D (or 2D) picture, look no further than the THX-certified VT30 series 3DTVs. The panel uses super-fast phosphors to eliminate ghosting and has the blackest blacks on the market. You'll also get a wide assortment of Internet apps including Netflix, Skype (with a compatible webcam) and Twitter. One pair of 3D glasses is included. Your space will determine the size of HDTV you need. In the kitchen, a 15 or 19-inch TV may be all the space you can spare on a countertop or shelf, and that's fine if you're watching Sesame Street over breakfast from a few feet away. It's a different story in the family room, where you'll be sitting eight or more feet from the screen. To get the full big-screen experience you'll want a model that's larger than 40 inches. 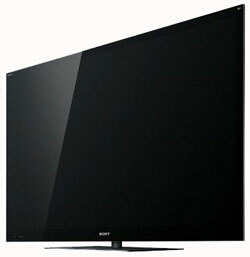 HDTV prices generally correspond to the screen size, although additional features such as built-in DVD players can add to the cost of a smaller model. You can find a 15-inch HDTV for well under $200 and a 65-inch TV for well over $5,000. In between are many sizes including 26-, 32-, 37-, 42-, 47-, 50, and 55-inches. Also, TVs are grouped into classes. A TV designated as "42-inch class" might actually have a screen size that's slightly smaller than 42 inches. To determine the right screen size for your room, use the general rule of thumb that the viewing distance should be is 1.5 to 3 times the diagonal measurement of the screen. So a 50" model would work well if your viewing distance is between 75" to 150" (7'3" to 12'6"). When shopping for a TV, position yourself the same distance from a TV as you would be in your own home to make sure you are comfortable with the size before you buy. Yet as each technology has advanced, the differences between the two have become less pronounced. But each still has its benefits and drawbacks. Here's what you really need to know. Plasma TVs have much wider viewing angles than LCDs, and this can make a big difference if your family is sprawled across the living room when watching TV. With many LCD TVs, watching off-center can significantly impact the picture quality. And it's not just side-to-side—vertical viewing angle comes into play if you're mounting your HDTV above a mantle or dresser. Plasma TVs generally have deeper black images and higher contrast in dark scenes. LCD is catching up in these areas. LED-backlit models with “local dimming”can be controlled according to the program material, allowing for some portions of the screen to be dark and others lit, but it's still not up to the quality of the better plasmas. 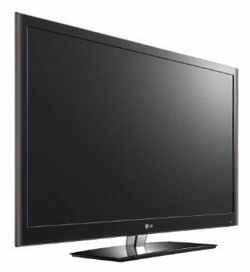 Plasma TVs are also able to display motion on the screen better than LCDs because they use a different technology that doesn't blur during fast motion scenes. LCD manufacturers have been bringing out panels with 120Hz and 240Hz refresh rates that offer significantly better motion processing than 60Hz LCD panels, but still not up to plasma. The increased LCD refresh rate also has the side effect of causing film content to look more like video, which is not appealing to many people. LCDs are capable of producing a brighter picture than plasma, which may make a difference in brightly lit rooms where some plasmas can appear washed out. LCDs, especially the LED-backlit models, are usually thinner and lighter than plasma TVs—an important consideration if you will be hanging the TV on a wall. LCDs use significantly less power than plasmas. Expect to save up to 60% in energy costs running an LED-backlit LCD over an equivalently sized plasma. This may add up to $50 or more over the course of a year. In short plasma still rules for the best picture (and that's really why you're buying a TV, isn't it?). But if you're placing the TV in a bright room or concerned about your energy costs, an LED-backlit LCD may be the better option. The contrast ratio is the difference between the whitest and darkest images that a TV can produce, and is a critical component of overall image quality (think of the difference between watching Star Wars where space is a dark gray, rather than pure black). A higher contrast ratio is better than a lower one and, in general, plasmas have better (often much better) contrast ratios than LCDs. Unfortunately, most manufacturers now list a “dynamic contrast ratio,” which has practically no value for comparison purposes. The dynamic contrast ratio is calculated using artificial image processing that will never occur during real content and the process for measuring the contrast ratio differs from manufacturer to manufacturer. At best, you can use dynamic contrast ratio for comparing models within a single brand. Otherwise, just ignore it. In our recommendations, we offer models that demonstrated excellent contrast during real-world testing. Resolution refers to the number of pixels and lines in a video image. 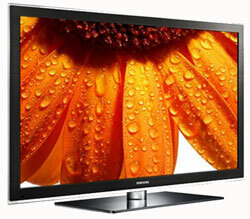 The most advanced and expensive LCD and plasma TVs today offer 1920 x 1080p resolution (often referred to as “Full HD” in marketing terms), meaning they are 1920 pixels wide and 1080 pixels high. Currently, only Blu-ray and a handful of other sources deliver video material that can take full advantage of that resolution. A flat-panel display with 1280 x 720p resolution is still an HDTV and will display high-definition video from TV programs and DVDs. If you primarily watch standard definition DVDs and programs over the air, via cable or satellite, a 720p TV is more than acceptable and will be a much less expensive alternative to 1080p. 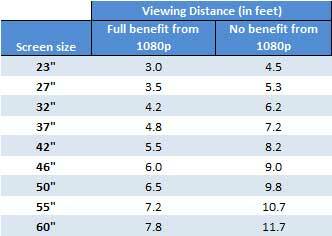 What many people also don't realize is that unless your viewing distance is relatively close to the TV, you get no benefit from 1080p over 720p—the human eye simply isn't capable of seeing the difference. Use the chart on the right to determine if a 1080p set makes sense for you. (chart data courtesy carltonbale.com). 3D has come a long way from the red-and-blue-lensed glasses that moviegoers donned in years past. Today’s 3D is smoother, sharper and, most importantly, there’s an increasing amount of content available in 3D. In addition to 3D Blu-ray movies, there are 3D broadcasts on satellite (DirecTV has three channels), 3D movies available for rental from paid-TV providers and 3D video games, and most TVs will also convert any 2D programming into 3D, though it’s not as high quality. 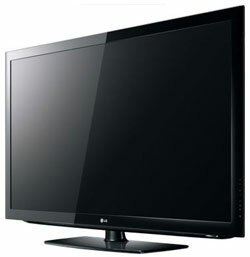 If you want the best quality TV on the market, it will be a 3DTV–whether you want the 3D or not. Think of it as a feature you can use when you want to. There are two types of 3D, active and passive. Active shutter glasses flick on-off at 60 times a second, enabling your right and left eye to see slightly different pictures and thus 3D. With passive systems, the glasses are designed so each eye always sees even or add lines of resolution, and together they see the whole 3D picture. The active technology does provide a better 3D picture, so you'll have to weigh picture quality versus the ability to enjoy your 3D content with a larger number of guests. Plus, some active LCD and LED-backed LCD TVs will lose their 3D if viewed lying down. 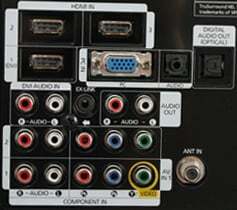 When buying a flat-panel TV, consider how many connections you will need and of which type. Generally, you will need one connection for your DVD or Blu-ray player, one connection for your cable, satellite or FiOS box, one connection for a video game console, and it is convenient to have a side input free in case you want to hookup a camera or tablet. Ideally, you should use HDMI connections for each device to get the best quality. However, older devices may only allow component or composite video connections. For more information on hooking up devices to your HDTV, check out Getting High-Definition on Your HDTV. Most TV manufacturers offer Internet connectivity–wired and wireless–and the ability to run apps on their mid-range and high end models. You can't browse the Web, but through the manufacturer's portal you can find video and photo services, social networking services, games, even health and fitness apps. Some TVs come with USB slots or built-in memory card readers that enable you to view digital photos and home movies directly on TV. Although most digital cameras and camcorders come with a video cable to connect the camera to a TV, you may find going directly from a card or USB flash drive to be more convenient. Buying a TV is an expensive proposition, and there is nothing worse than knowing that you got a bad deal. Online sites such as Amazon will usually give you the best price. But is that the best choice? For many people, the service angle should be just as important, or more important, than price. Brick & mortar stores, such as Best Buy and specialty stores, offer more options for delivery and set up — important considerations if you’re not a techie or you want to wall-mount your TV. And if something doesn’t work correctly on your new TV or you simply don’t like it when you get it home, which has the better return policy? Nothing will make you madder than knowing that you spent hundreds, if not thousands, on a TV that you don’t want, and now you’re stuck with it. So to help give you the confidence to make the right shopping decision, we created a guide for what to consider when deciding where to buy your TV. Amazon's low prices and free shipping make it one of the best places to buy an HDTV. But in addition to selling directly, Amazon also offers a marketplace with many sellers, some of whom charge shipping fees, have poor customer service records or who have return policies that are much more restrictive than Amazon's. So when purchasing an HDTV, always pay attention to who the seller is. You will see the seller's name right above the "Add to Cart" button next to the words "Sold by...". You can review the seller's return policy and customer feedback by clicking on its name. To pick a different seller, look in the "More Buying Choices" box under the "Add to Cart" section. And if you see a deal from a vendor that looks too good to be true, it probably is—you may be buying a refurbished or used TV with potential defects and a limited warranty. learn why in-store extended warranties aren't usually a good value and what free extended warranty options may be available. If you're considering a Vizio, we recommend that you always buy an extended warranty because some owners have been left with unrepairable TVs after the warranty period expires. I was always told that with Plasma you get burn marks on the sides of the TV. That it can leave permanent burn marks. Is this still true? This really isn’t an issue any more. Plasma technology has come a long way and has largely eliminated the issue of burn-in. Also, since much more content is now shown in widescreen format (16x9 ), you shouldn’t be seeing bars much of the time anyhow. I would disagree with that Josh. Most chanels now insert their logo on screen full time and on if a user watches one channel often (e.g.show marathons on TBS) a plasma does burn in the logo. This compounds the annoyance of the full time station logo and now burned in too! Image persistence or image retention is a temporary effect from logos that creates a temporary ghosting. It usually goes away after 5-10 minutes and is barely noticeable. We have a 10-year old plasma that gets a lot of kids’ show watching with logos in the corner. The set has burn-in on the sides (this is really old plasma technology we’re talking about here) but no burn-in from logos. You left out the biggest disadvantage of Plasma ... GLARE from the glass screen makes it unwatchable in a room with lots of windows or at night with lamps that reflect like a mirror off of the glass front of a Plasma set. Many of the higher-end LCD sets have the same issue with glare as plasma sets. The reason is that glossy screens allow for much better contrast than matte, “anti-glare” screens. Plasmas and many LCDs will often have an “anti-reflective” coating, which works, but not as well as the anti-glare. So if you know you will have light sources that are likely to reflect off the screen while watching, look for models that have an “anti-glare” (matte finish) coating. Or adjust your lighting! And what qualifications do you have to assess these TV’s? You left out Elite as a top TV. Suzanne is a 20 plus-year veteran consumer tech journalist. Former Senior Tech Editor for Popular Science and Martha Stewart Living Omnimedia. The Sharp Elite series are beautiful televisions. We just saw the line-up again a few weeks ago for the unveiling of the Sharp 80” Aquos and the picture definitely rivals anything on the market. But the Elite line just has too much of a price premium to make our recommended list. A 60” Elite will run you $5,499, while our recommended Panasonic 65” plasma will run you $3,499 and our recommended Samsung 64” LED-backed LCD is well under $3,000. Is the Elite worth two grand more? In our opinion, no. First, While Plasma has came a long way in eliminating burn-in, (static images in particular, such as that “bug” put in the corner of your screen by the TV network or station to remind you that you’re tuned-in to them, making its presence known on your screen, even without it actually being there,) it still hasn’t removed burn-in 100%, it’s just much harder for it to happen. 3D Technology is still relatively new and most 3D movies/programs/games are gimmicky in its use. While prices are finally becoming a little more affordable, issues still exist with 3D technology giving some people eyestrain, headaches, etc. You may want to test it yourself in the showroom before you fully commit to it. Avoid some of the old brand names of yester-year, as the brand name is the only thing that exists anymore, whatever quality that was associated with the brand died with the original company. These usually surface as bargain units, and when you investigate them on-line, you’ll find they have a bad history for reliability. I am looking for some help. I have a Samsung 47 inch and just moved to a bigger space and would like abigger tv. The tv is 15 feet back from the couch and our ceilings are about 12 feet. The TV has to be placed above the fire mantle so almost 6 feet high. 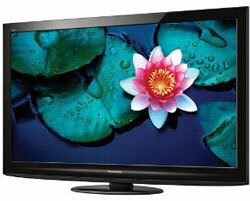 1) Most Important: 70 inch Sanyo led and 60 inch Samsung is in our budget. Is it worth the extra inches given the quality of tv? 2) What size better fits the space 60 or 70 inch hdtv?